IJN was established on 1st August 1992 as a heart specialist institution committed to delivering advanced standards in cardiovascular and thoracic medicine for adult and paediatric heart patients. Previously the institute had been part of the Kuala Lumpur General Hospital. Since the foundation of the institute, IJN has treated over a million patients and gained recognition as one of the leading Cardiovascular and Thoracic Health Centre in the region. Today IJN provides a full range of cardiac services. The institute also houses a number of associated cardiac treatment clinics. The institute is staffed by an experienced and committed team of specialist cardiologist, surgeons, anaesthesiologists, paramedics and clinical support staff. The medical staff are fully supported by the modern technology allowing IJN to treat the most complicated cases. To ensure IJN continues to be the leading heart institution in the region there are a number of on-going support training schemes and a series of research and development activities. There are also collaborations with leading international medical establishments such as the UK’s Papworth Hospital and the Herz-und in Germany, allowing IJN to introduce modern clinical techniques. 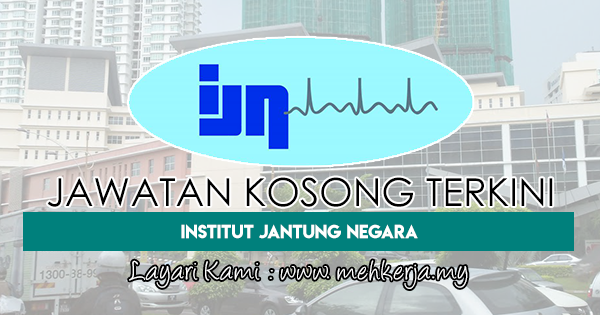 0 Response to "Jawatan Kosong Terkini di Institut Jantung Negara (IJN) - 22 Feb 2019"